Blue Devil was a labour of love for Browning Horrocks Golf Design. Gary Browning and Wade Horrocks tirelessly worked through every minuscule detail of this course to create a memorable and unique golf experience. 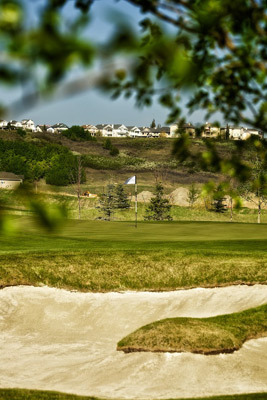 From the dramatic bunkers to the surprisingly vast roll of the land Blue Devil will become your favorite Calgary golf destination.